Nomination emerged from the idea of a fashion accessory capable of expressing one's values, passions, politics, secrets and sensibilities. 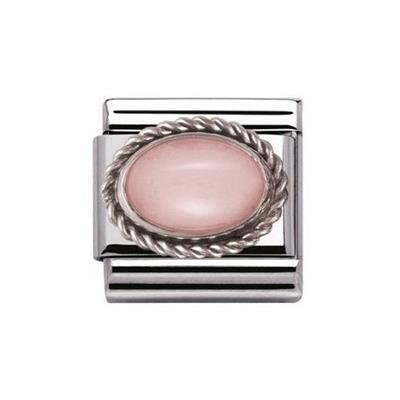 This unique link has a silver twist setting and a stunning rose petal pink Semi-precious Stone. A fantastic addition to your Classic Nomination bracelet! The link is made from contemporary Stainless Steel.